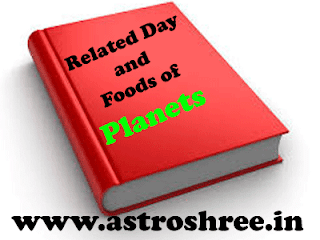 Related Day and Foods of Planets, what to do to strengthen the planets and to minimize the impacts of malefic planets as per Laal kitab. If moon is weak in horoscope then it is good to eat kheer on Monday. Use silver utensils and wear white dresses. Do use tilak of white sandalwood, use pearl ring or pendent and wear silver jewelry. But if moon is malefic in horoscope then do donate the things related to moon. The related day of mars is Tuesday, If mangal is weak in kundli then it is good to eat masoor daal on Tuesday, wear red cloths on Tuesday, do eat sweet chapattis, do keep red hanky in pocket. The related day of budh is Wednesday, if mercury is weak in horoscope then it is good to use green cloth on Wednesday and wear emerald, eat green vegetables. 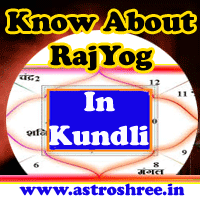 The related day is Thursday, As per laal kitab if Jupiter is weak in horoscope then it is good to wear yellow cloth, keep raw turmeric in pocket, use yellow hanky, put tilak of kesar/saffron, one can also use pukhraaj ring. The related day is Friday and if venus is weak in horoscope then it is good to wear white dresses or colorful dresses on Friday, do wear diamond ring or pendent, do visit goddess temple regularly. The related day is Saturday and if Saturn is malefic in horoscope then do avoid liquor, non-veg. Do donate things of iron, black cloths, oil, etc on Saturday to needy. Do pour oil or wine in flowing water. The related day is Sunday and if it is weak in horoscope then do wear ruby, eat molasses on Sunday, wear bangle of copper. On the other hand if sun is malefic in kundli then do donate copper vessel, do distribute molasses on Sunday, do put molasses and copper coins in flowing water. So in this way Laal-Kitab clears very easy ways to minimize impacts of malefic planets. If you believe in red-book then you can use these ways easily to make life hurdle-free.